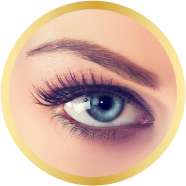 Sonia’s permanent eyeliner tattoo make-up will add beautiful definition, depth of colour and expression to your eyes no matter what time of day or night it is. Looking for those perfect Eyebrows? Sonia can add permanent make-up to frame your face to create an even balance or reshape uneven eyebrows. Sonia’s permanent make-up tattooing techniques can restore a full youthful glow to your lips with beautiful shape and colour. You can have the perfect brows, stunning lips, permanent eyeliner, beauty spots, never having to worry about smudged or running makeup.For those who are post surgical, camouflage and re-colouration is also popular. For a confidential assessment please call Sonia on 0412 594 748 and change your life forever.